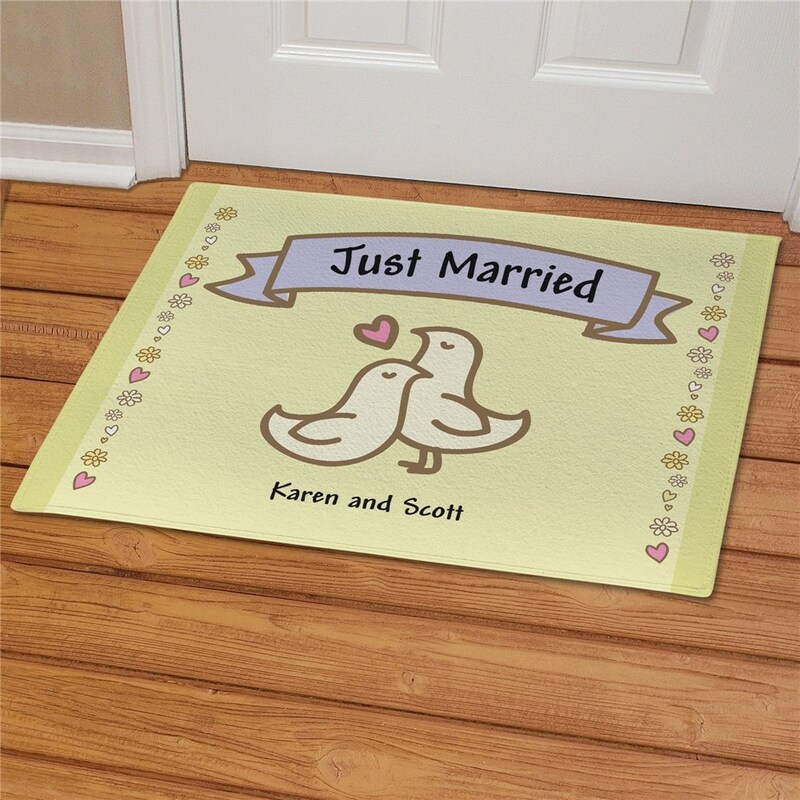 Our Just Married Personalized Doormats welcome everyone to your new love nest. Every family gathering at your new homestead is sure to be filled with fun & good times as guests are first greeted by this Personalized Door Mat. Includes FREE Personalization! Personalize your Custom Doormats with any two names. 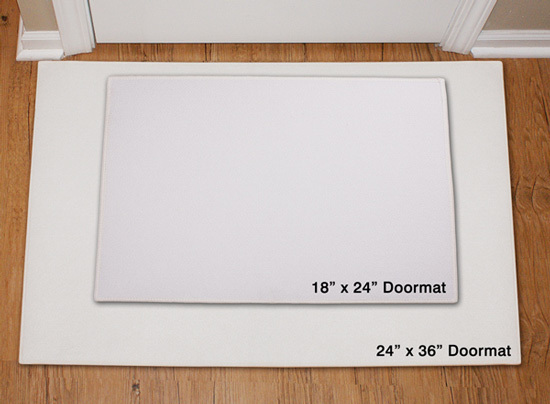 Check out our entire collection of Custom Printed Personalized Doormats. 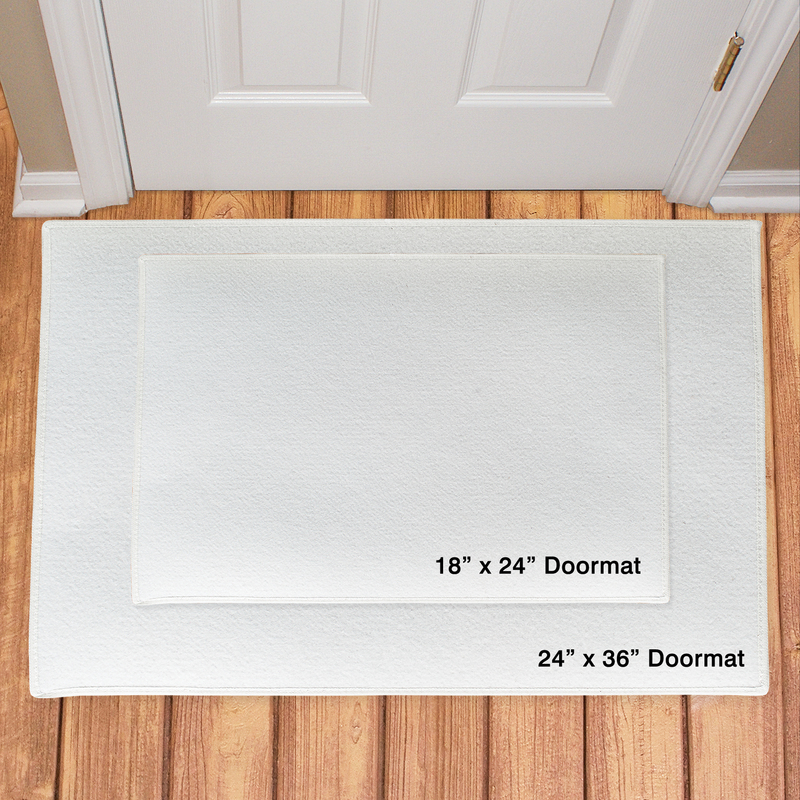 Our Personalized Doormats are perfect for gifts for the Home. Create a custom Door Mat for someone in your family today. We also carry an enormous selection of Personalized Wedding Gifts & Personalized Bridesmaid Gifts. Take a look and see what GiftsForYouNow.com can provide your entire wedding party on this very special day.